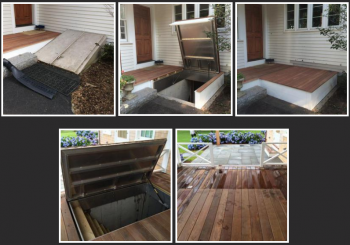 Yesterday we presented a custom deck trap door that allowed access to an external cellar basement door. That set us on a journey to see what other options there were for the same function. We found this company, LuciGold, that makes hatches for this specific purpose. Each of these hatches removes the need of opening two sets of doors. The deck or porch floor is your cellar door. Aluminum and stainless steel infrastructure resists water and rust. The overlapping design of the door eliminates the chance for melting snow and ice to penetrate the door. Letting the heavy cellar doors slam shut is no longer a problem with the gas shock. 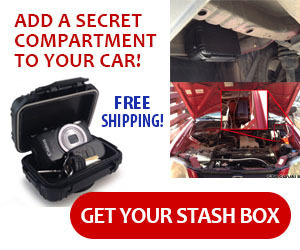 And there are dual sliding locks to provide security.